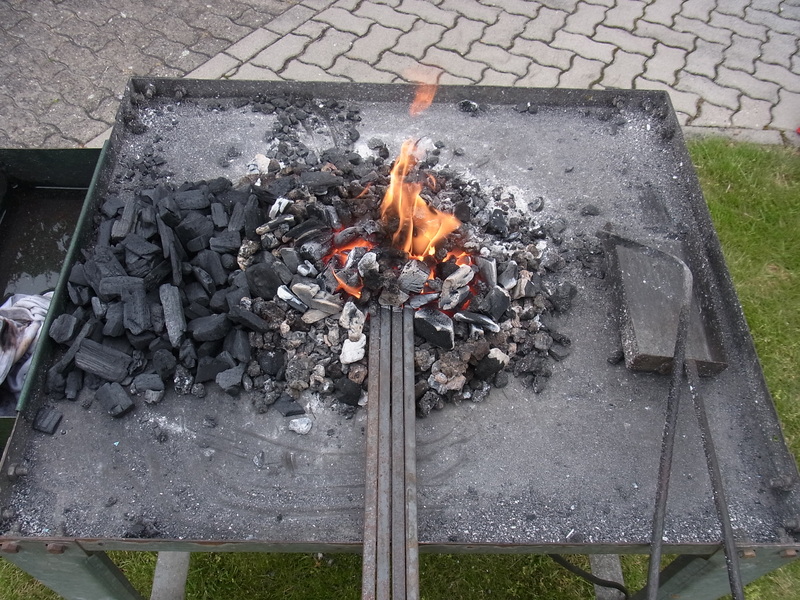 I want to make a new set of forge instruments. This set will consist of a slider, a shovel and two ladles (a bigger one for water and a smaller one for borax). As stock for the handles I use four 10x10mm squarestock. I twist the handholds to increase the grip. I do the twist with the heated stock clamped into the vice with an adjustable wrench. 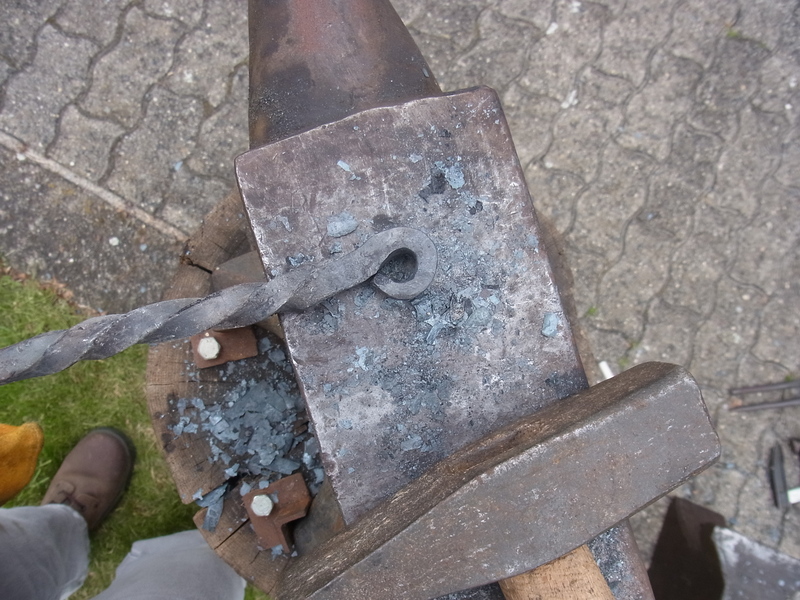 The ends of the handles I forge into eyelets to carry a ring later on. 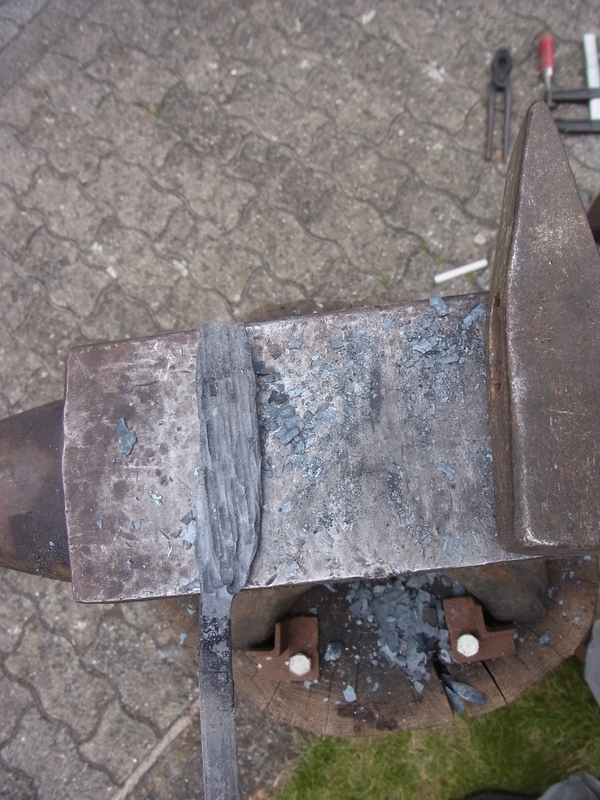 Before bending the ring I thin down the stock to the tip and do the first outward bend in one step. 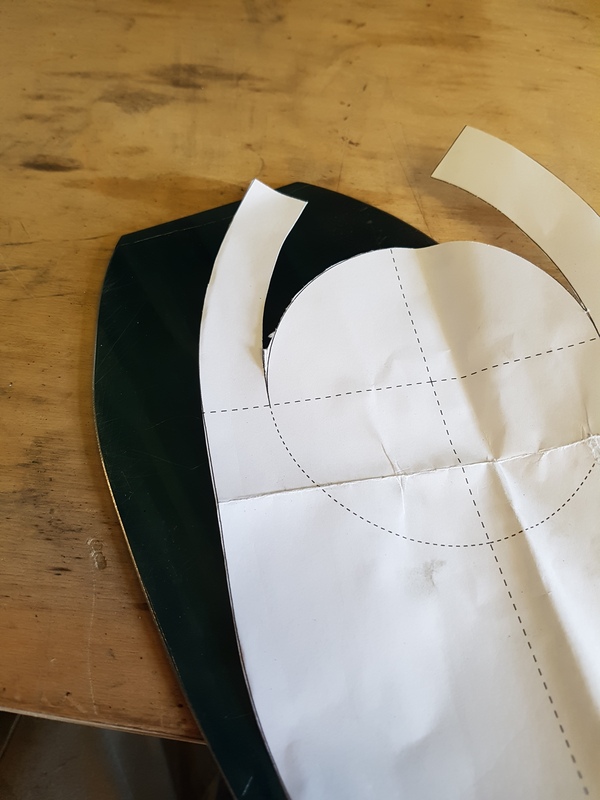 Then I bend the eyelet using the anvilhorn. 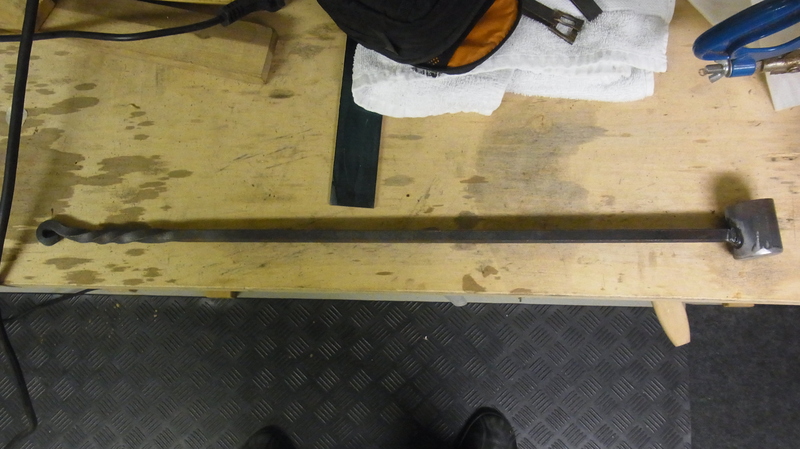 For the slider I flatten down round about the last 10cm of the squarestock with the peen of the hammer. 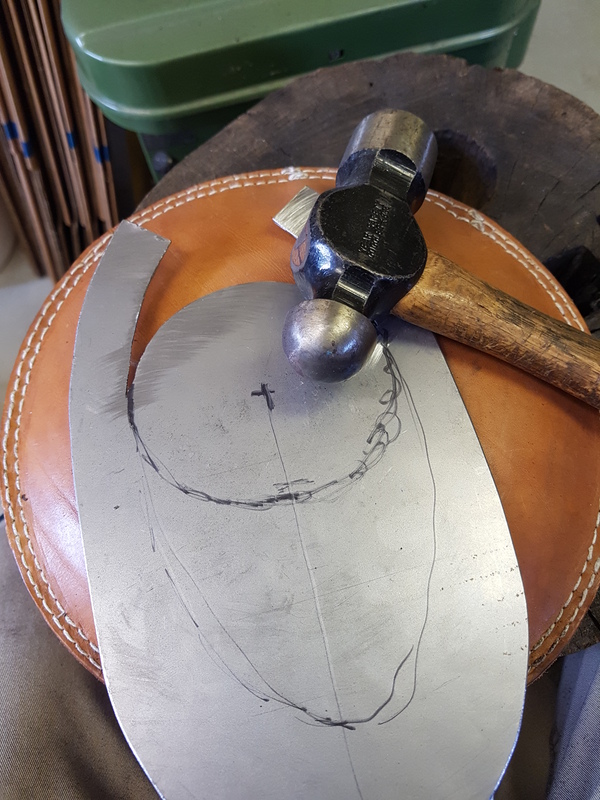 When the needed width is achieved I smooth out the hammer marks with the flat side of the hammer. Then the panel is bend 90° and the slider is finished. 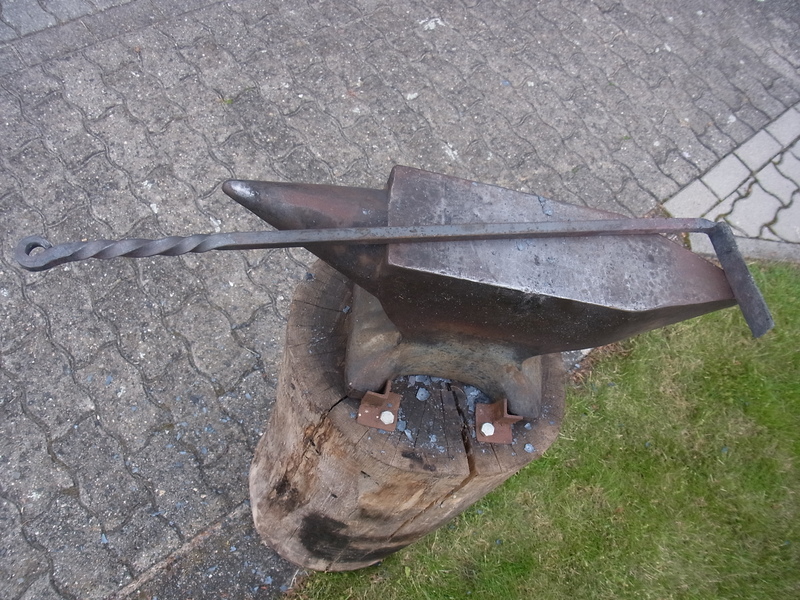 I make the shovel head out of 2mm sheetmetal steel. 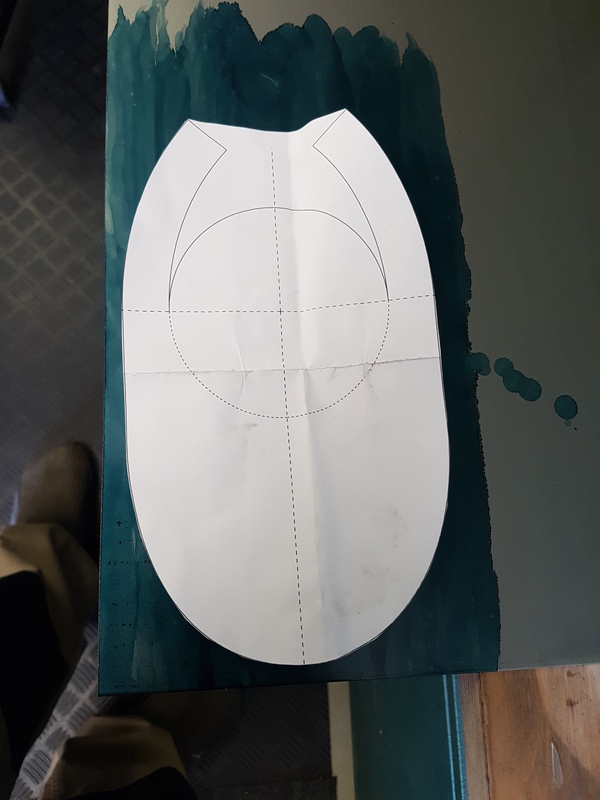 It is a can construktion and I made the template in inkscape. 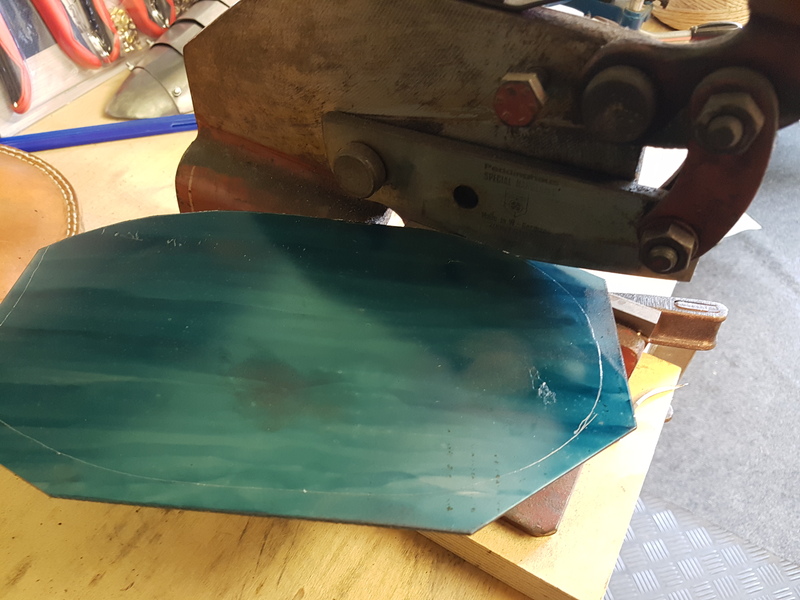 To cut out the outer perimeter I blue dyed the sheetmetal and scraped in the perimeter according my template. Then I cut everything out with the sheetmetal sheer. 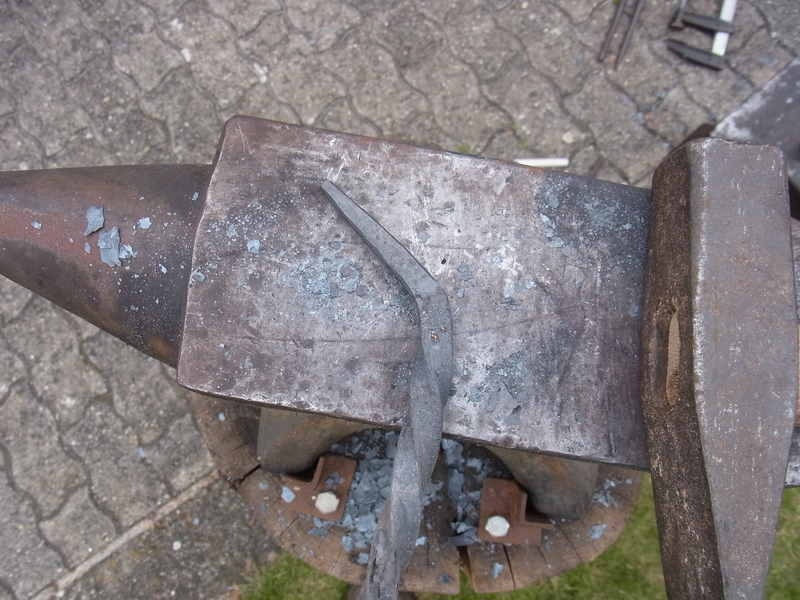 Before welding I preform the shovel by doming it into the sandbag…. 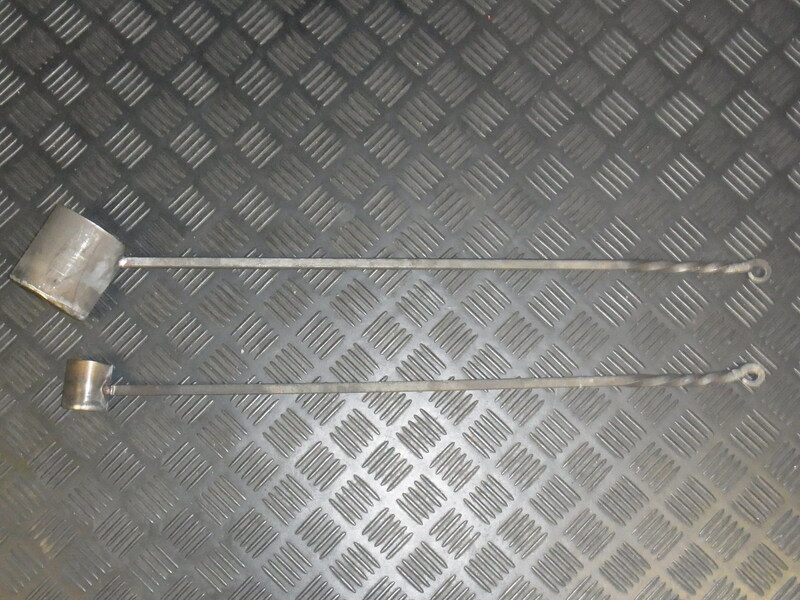 ..till all welding lines match. 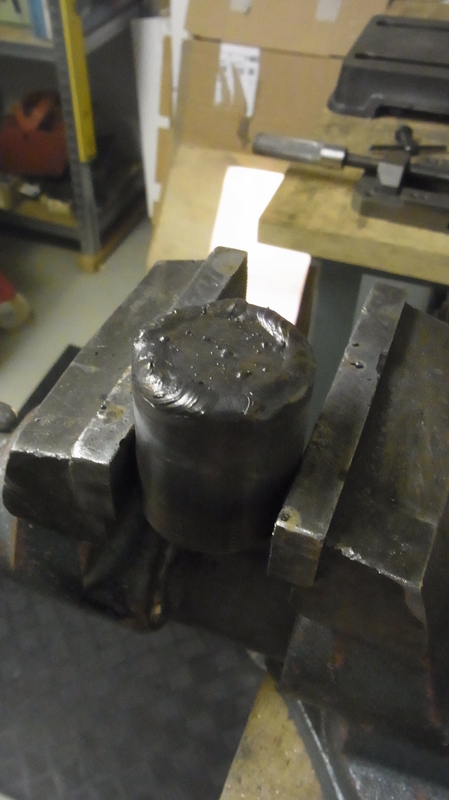 I welded all the seems with a TIG-welder….it was my second try. It is nit beautiful but it stands firm enough. 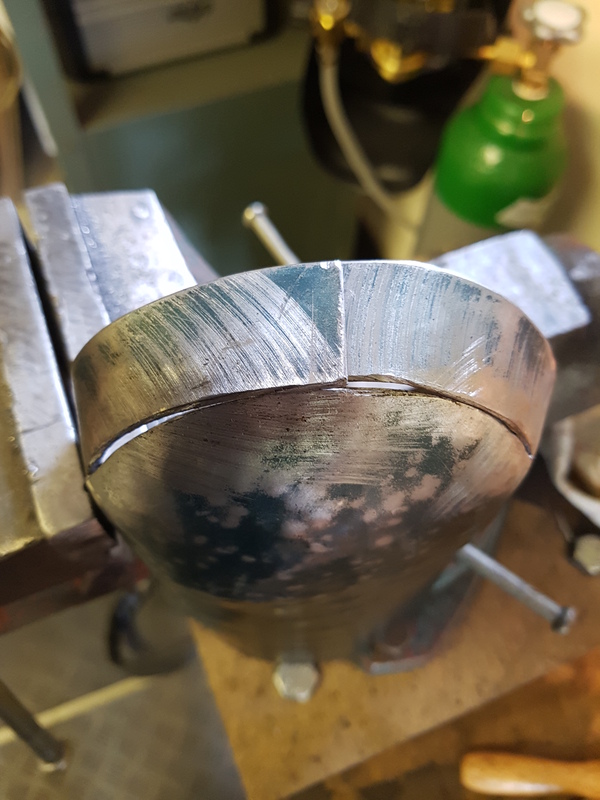 After grinding the welds I Refining the shovelrefind the form and planished everything up. 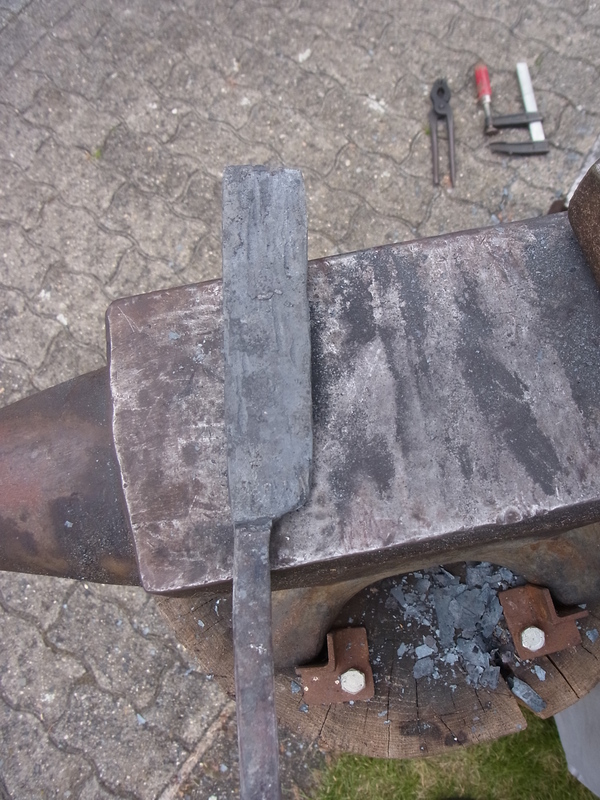 I welded the handle on which I gave a slight curve before. and the shovel is finished. 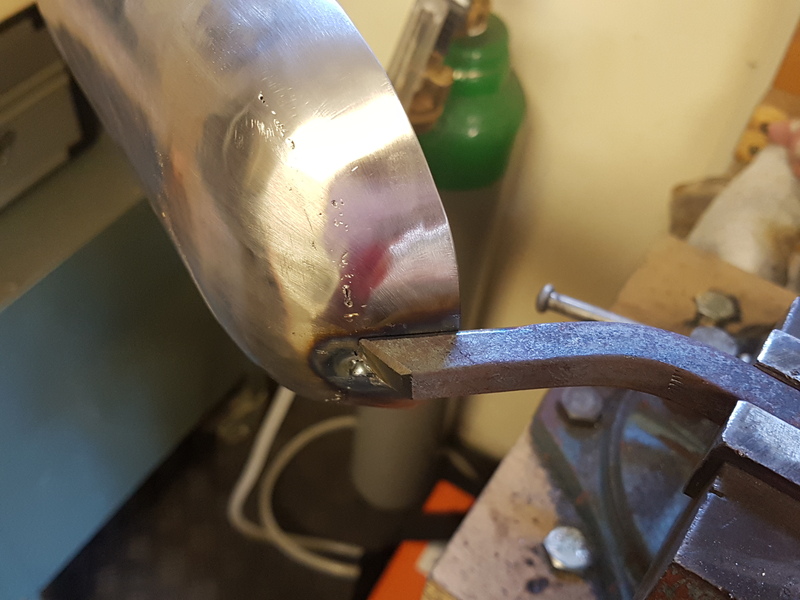 I weld the ladles as cans out of tubepieces and sheetmetals. 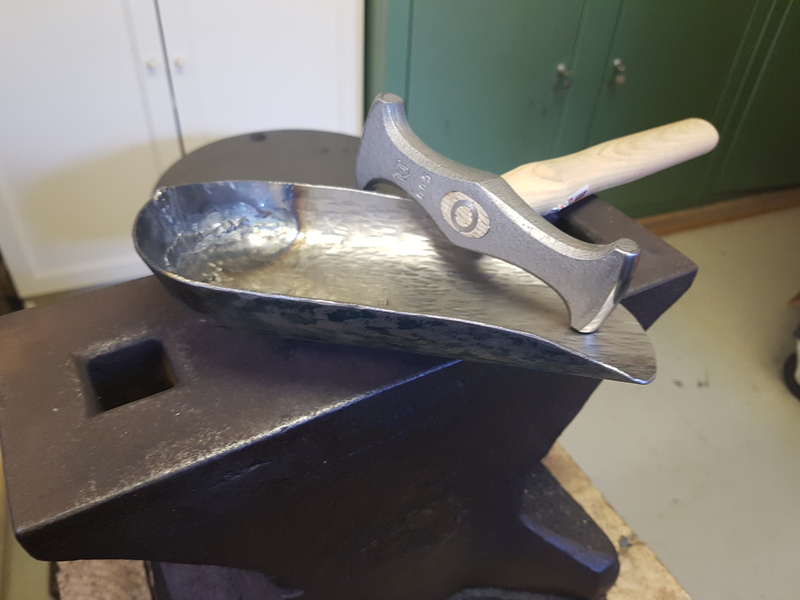 For the smaller ladle I use a tube with 30mm diameter and a 2mm thickness, and for the bigger ladle I use 60mm diameter. 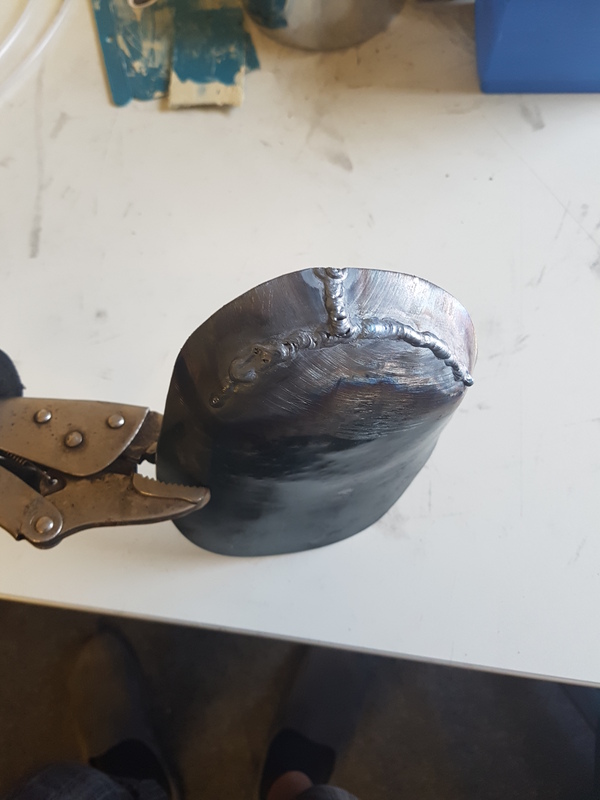 I do the welding with an MMA welder. 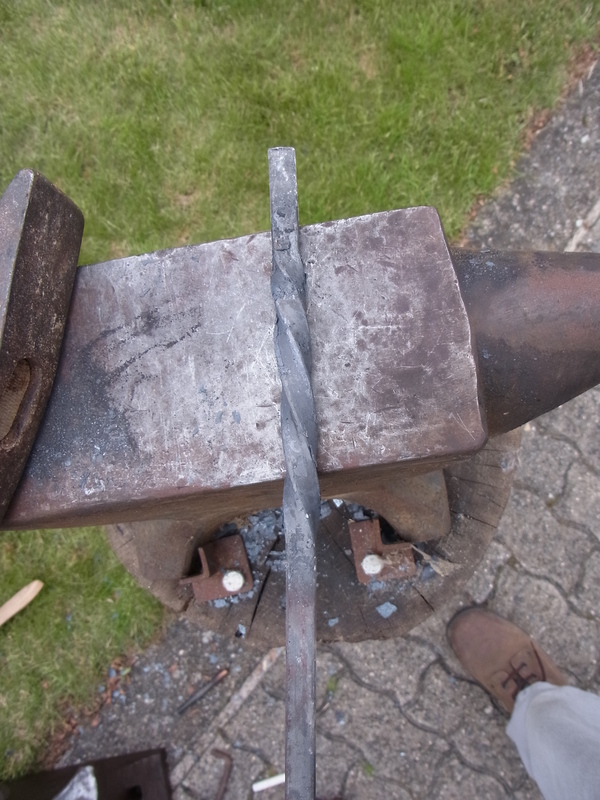 And then I just need to weld on the handle in an slight angle. 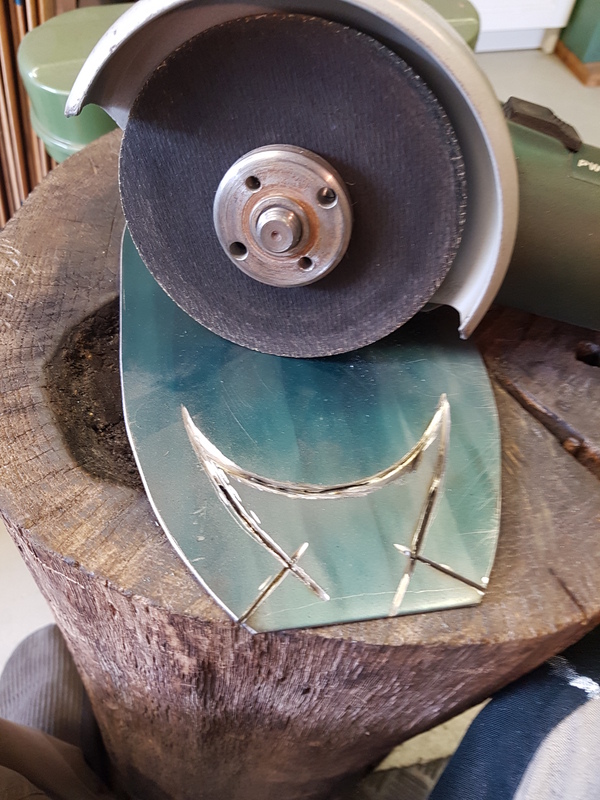 This entry was posted on August 7, 2018 by nilsmandel in Werkzeug and tagged Esse Besteck, Forge instrument.